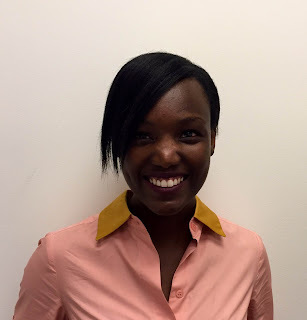 Afua Owusu-Baafi is joining the Humphrey School July 1 as Associate Coordinator for the International Fellows and Scholars Program (https://www.hhh.umn.edu/professional-development/international-fellows-and-scholars), working primarily with the Law/Human Rights Humphrey International (Fulbright) Fellows. She comes to the IFS from her current position as a paralegal with Faegre Baker Daniels in Minneapolis where she focuses on immigration and global mobility. Before joining Faegre Baker Daniels, Afua spent more than five years with the US Department of State in Washington, DC as a Country Desk Officer. In that role, she worked with the Bureau of Consular Affairs to assist victims of International Parental Child Abduction (IPCA). She helped develop and implement policies, procedures and strategic plans for achievement of US policy objectives, served on various task forces to assist US citizens in crisis and disasters around the world, and completed short stints in the consular sections of US missions abroad. Over the course of her career with the U.S. Department of State, Afua developed expertise in the legal and socio-cultural traditions and systems of countries in Europe, Sub-Saharan Africa, and the Middle East and North Africa. She also built relationships with partners in federal agencies, law enforcement, non-governmental organizations and foreign governments in various regions of the world. While earning a master’s degree in international affairs, Afua was a refugee policy intern with Church World Service in Washington, DC. She earned her BA in political science at Carson-Newman College in Jefferson City, Tennessee. She speaks English (native), French (intermediate), and Akan (native) and is a member of the Minnesota Committee on Foreign Relations.